We left precisely on time which was very nice for me. I got up before Andrew and bought cheese, meat and bread to make sandwiches for the airport. I also bought Nutella and banana crepes for breakfast as our final French breakfast. 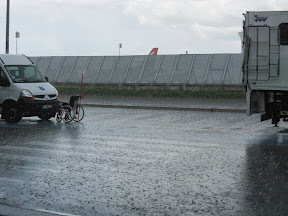 Riding to the train station was easy, aside from the rain. Checking in at the airport was also pretty easy. They certainly are rougher with bikes in Paris. I’m amazed they made it in one piece. 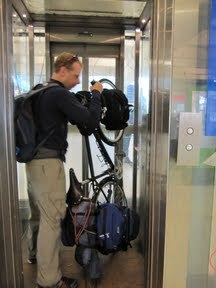 Andrew cramming into the elevator at Gare de Nord. 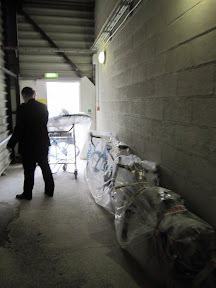 The bikes wrapped at Charles de Gaulle airport in the cargo area. The final day was filled with more Paris rain. 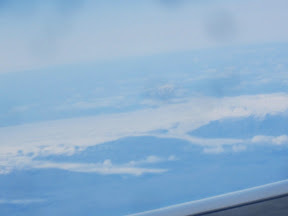 Flying over Greenland and Iceland was pretty cool. 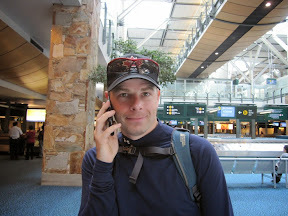 Andrew got off the plane and called his Mom immediately. 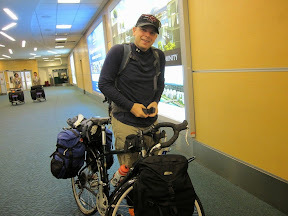 Andrew gearing up at Vancouver airport after putting the bikes back together. Enjoying the views of home sweet home. 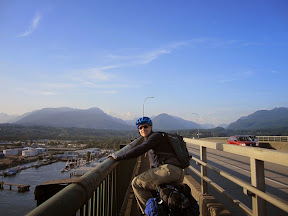 We arrived in Vancouver and the bikes and all luggage made it with minimal damage. 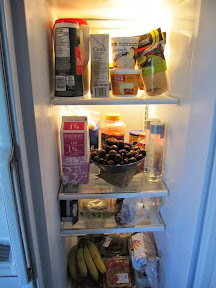 We arrived to Sunshine and a full fridge thanks to our friends Lori, Aspen and Nicholas. That was an awesome surprise as we were very hungry. For anyone that has been in our house and seen our fridge you know the significance of this picture. The fridge was totally stocked! Now we have to figure out how to stay awake as it is 4am our time.